Battle Drones: The Cheerson CX-60 is a Blast, Literally! Let the battle begin! Remember playing laser tag as a kid? How fun would that be if you could do that with a drone? Well, now you can because Cheerson has developed battle drones. The CX-60 is a ducted, infrared-light-shooting, combat drone. These fun drones are sold in pairs and are a blast to fly, literally. The Cheerson CX60 fires from the “cannon” in the front. Here is how it works. You get one drone and your opponent gets the other. You fly around and try and shoot each other out of the sky. The shooting is done via a light source on the firing drone that is sensed by a sensor on the opponent’s drone. You can keep track of your score and hits in real time on your smart device as you fly. It is like you are part of a live action video game. When you fire at your opponent the front of your drone lights up. If you suffer a hit, your phone will vibrate and there will be visual cues on your phone and on the rear LEDs on your drone. Don’t shoot too early, if you are too far away or if you miss you will need to wait a few seconds before you can shoot again. If you think your opponent has you lined up you may need to take evasive maneuvers. The flip button, number 5 in the image below, will get you out of danger quickly. The smartphone controls are easy to use. Are these Battle Birds Flight Ready? Not only are these drones a lot of fun to fight, but they are surprisingly stable and easy to fly. They are controlled via WiFi through an app on your smartphone. The app is fairly intuitive and easy to use. In general, we aren’t big fans of flying drone with your phone rather than a remote controller with joysticks, but this drone is the best we’ve experienced. When flying indoors we had had no issues avoiding collisions (when we wanted to) and maintaining control of the drones. The altitude hold feature on these drones is rock solid and is the best we have seen on any toy drone. You don’t need to worry much about dealing with the throttle, which makes flying a lot easier. With the drone not drifting more than about a foot up or down you can more easily focus on taking out your opponent. The Cheerson CX-60 battle drones really are a lot of fun. After a few dog fights, we decided to take it to the next level and get physical by knocking each other out of the sky in any manner we could. The ducted design of these drones is nice because it keeps the propellers from bumping obstacles. The ducts also allow you to use your drone as a battering ram when needed. The drones suffered no damage during our several battles, we didn’t even damage a propeller. The CX60 was designed to be like a real life video game. When you play you collect coins that you can use to “power up” your drones abilities. You can boost both defensive and offensive abilities of your drone. These CX-60 drones are a ton of fun, but they aren’t perfect. The motors are fairly powerful for brushed motors, but because of the heavy protective housing on the drone, the drones can’t fight a stiff breeze. The sensors can also be confused by direct sunlight. We’d recommend battling indoors or otherwise out of direct sunlight. The overall range of the drone is limited to the WiFi signal of your phone and that varies greatly depending on your phone and surrounding area. The shooting range is about 2 meters so you will anyway need to keep your opponent close. 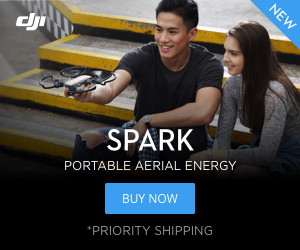 The batteries are proprietary, so you won’t be able to swap them out with your other drones. Cheerson does supply you with two chargers, so you can be battling again in less than an hour. One of our chargers was a little finicky for some reason. Overall these drones are awesome. With excellent altitude hold, these drones were the most maneuverable phone-controlled drones we have ever used. It is nice to see something unique from Cheerson. We’d definitely recommend this set if you have a pair of drone enthusiasts that want to sort out their differences on the battlefield. For under $75 this fun set is a steal. 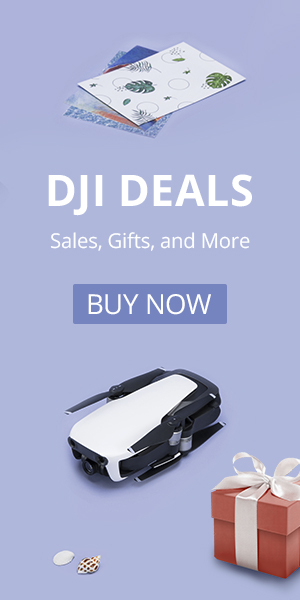 You are literally getting two drones for the price of one. If you are looking for a unique drone, or want to duke it out with a friend you should definitely pick up a pair of Cheerson CX-60s. A big thank you to Banggood for sending us this drone. While we did receive this set for free so we could review it, we try to provide the most unbiased review possible.